Luckily, you can actually stow your teen in a shed without being summoned on charges of negligent parenting. And with the kinds of liveable shed spaces on the market today, it’s likely you’ll wind up with a severe case of shed envy, not to mention a very contented teen. Liveable sheds are a cost effective solution for those needing more space, be it for teenagers, guests, or as a liveable working area. So how does a liveable shed differ from a standard garden shed? How can you be sure it’s safe enough to sleep in? The liveable sheds offered by National Sheds contain extra reinforcing and are engineered to meet the highest safety standards. 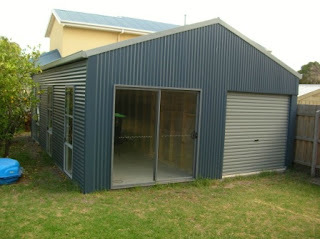 Concreters, plumbers, and electricians can be provided to bring your liveable shed to fruition. Concerned about the aesthetic impact of a big shed? The current styles allow plenty of scope for people to make the design their own. A popular choice is the classic American Barn style, roomy and able to accommodate a mezzanine floor should you require one.